I once read that you can't really hide your age by the appearance of you hands. People often forget how important it is to take care of your hands, moisturizing and exfoliating them to keep them looking 'young'. 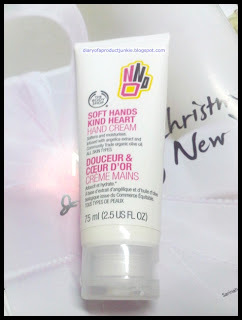 Well, hand creams are a must for every skin care addict like myself, so I went out looking for a good one. I stumbled on this hand cream, I think, on the midst of 2010. I would say around July-August-ish, but had not been using this because I just simply forgot about it. 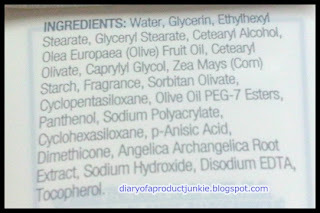 Plus, I still have my Etude House Hand Bouquet hand cream, so I just put this at the back of my drawer until recently. I reached for it because I ran out of the EH hand cream and not wanting to purchase a new one. After I've used it for a month, here's my take on it. 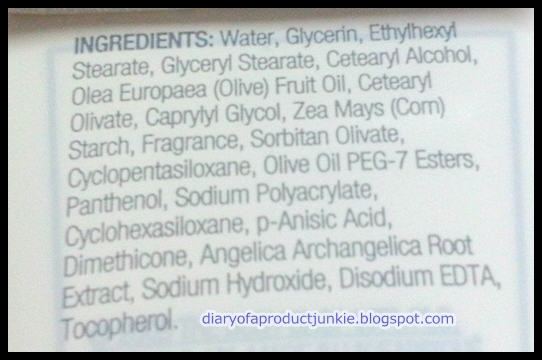 "Softens and moisturizes. Infused with angelica extract and Community Trade organic olive oil. All Skin Types. " I squeeze a pea-sized amount ( 1 cm diameter) onto my hands and rubbed them together as if washing my hands. I apply this after I wash my hands. The price is quite cheap, retailing at IDR 59,000 for a 75 ml tube. I only use a small amount and it has only reduced a quarter of the tube for a month! It dries quickly and leaves a non-greasy feeling. I can immediately write without my pen slipping through my fingers. If you're new to hand creams, this would be a good one to start your journey on seeking the 'holy grail' hand cream. 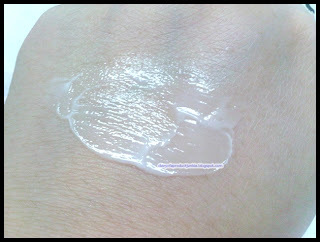 It gives a very moisturized and non-greasy feeling at the same time. More like a matte finish, if I may say so.